Through a Space-Time Visualiser the Doctor and his companions are horrified to see an execution squad of Daleks about to leave Skaro on a mission to find the TARDIS and exterminate the time travelers. Eluding the Daleks on the barren planet Aridius the Doctor and his friends escape in the TARDIS. But this is only the beginning of an epic journey. As they travel through space and time, they try to shake off their pursuers by making a series of random landings - but the Daleks don't give up easily. 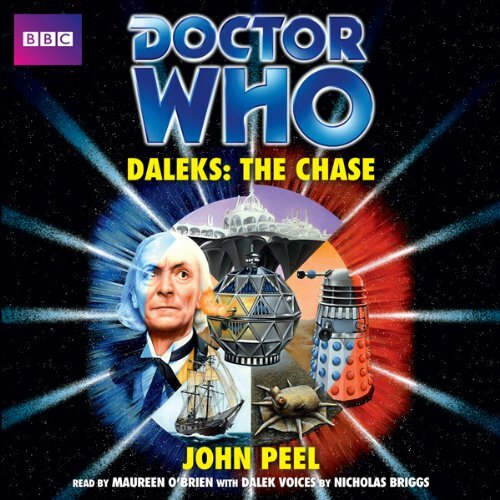 This is a chase to the death... Maureen O'Brien, who played Vicki in the original Doctor Who TV serial, reads John Peel's complete and unabridged novelisation, first published by Target Books in 1989. This was a great audiobook. A classic Doctor vs the Daleks story. John Peel did a wonderful job writing the novelization. I've read all his Doctor Who novels. I plan to listen to the rest of the audiobooks based on his novels soon. Great stuff.